Even in spite of the current economic status with the lower oil and gas prices, the growth of the Watford City Parks & Recreation Program has only sky-rocketed. Since the beginning of April, the Parks & Recreation Program went from having two full-time staff to now having five full-time staff. With five full-time Parks & Recreation employees, the workload has been able to be divided up. Which is good since the recreation department is allowing its programing to meet an ever-increasing city population. “We do have a lot going on,” said Larson. “We have a lot of plans and hopes. If they can all come true, we will be sitting pretty good. Just this year, the Parks & Recreation Program has added several new programs including: Learning to Fish, Gracie Combatives (a Jiu-Jitsu training), Adult Outdoor Soccer, Cheerleading (for children age four through 6th grade). In addition, it took over the Missoula Children’s Theatre, (which was not new to the area, but to the Park District). The Parks & Recreation Program had also started an Adult Indoor Soccer team this past winter and is going into its second year of offering Flag Football to not only third and fourth-graders, but also to first and second-graders as well. According to Larson, programs that have seen the most growth in the last three years include soccer, the Cal-Ripken baseball program, and men’s adult softball. The soccer program went from having about 15 to 20 teams last year to 26 teams this year, with 27 coaches. Six of the 26 teams are pre-K and are under the direction of Bambi Shelley and her six assistants. This is also the first year Shelley has had assistants who aren’t members of her own family. In addition to the soccer program, the Cal-Ripken baseball program has expanded as well. In the past, the Cal-Ripken baseball program didn’t start until the first part of June. 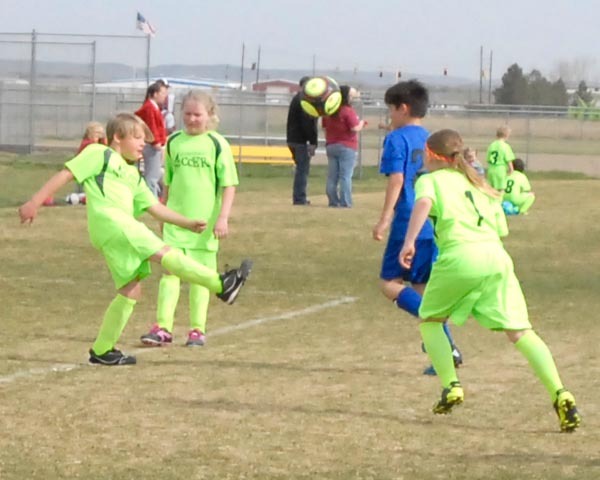 The program started earlier this year for the purpose of getting into Williston’s league, which will allow the players to have more games to play. Games will start at the end of May and go through the end of July, with the in-town teams playing against each other. Not only have the soccer and the Cal-Ripken baseball programs heightened in popularity, the adult softball program has too. Currently, there are only men’s softball teams and women’s softball teams. There are no co-ed teams. And as the women’s softball has steadily stayed around five teams over the last three years, the men’s softball teams have steadily increased. In addition to Parks & Recreation adding new programs and activities over the last year, they’ve just recently took over scheduling of the Veterans Building as well. City Hall used to have the task of scheduling and will still do some of it, but Parks & Recreation will hold the main responsibility of the scheduling. The Parks & Recreation Program is also in the process of creating a financial scholarship, although major details of this project still have yet to be determined and finalized. They have also hired recreational staff for the summer programs and activities. Some of the other projects the Watford City Parks and Recreation is working on include an addition to the current skate park, which will enhance what is already there and give the skaters more obstacles. An in-line skate rink will be put down on the elementary school grounds. A splash pad is currently being built next to the swimming pool and will hopefully be done when the pool opens for the summer. The Park Board is still currently working on plans for a future softball complex with an attached green space (for football and soccer practices) and hopefully, a small playground. According to Larson, it’s a plan being pursued and will hopefully be playable by next year. The biggest project, however, slated to be finished sometime next year is the highly-anticipated Events Center, which will boast two sheets of ice, an area big enough to lay down three basketball courts or turf for soccer and/or football practices/games, a main arena, an area for gymnastics, a leisure pool with slides, along with a six-lane lap pool, and a convention/banquet area.